Thank you for helping us make 23andMe an even better service for customers like you. The 23andMe Beta program allows customers to sign up to test new features before they are available generally to our customers. Our intention with this program is to widen our testing reach and deliver an improved product based on diverse customer experiences. The feedback you provide on quality and usability helps us identify solutions, enact them, and make 23andMe features even better for all customers. Please note that since the Beta features have not yet been released by 23andMe, you may notice that they contain errors and may not function as well as our other features. A goal of Beta testing is for our teams to catch these errors and fix them. How do I take part in the 23andMe Beta program? What happens if multiple profiles are associated with one account? All profiles associated with your account will be enrolled once you sign up. How do I provide my feedback to 23andMe? As a Beta tester, you will receive pre-release features from time to time. We ask that you browse 23andMe as you normally would, but when you experience an issue or have feedback on the feature, submit a report via the Feedback module on the bottom of pre-release feature that you are testing. 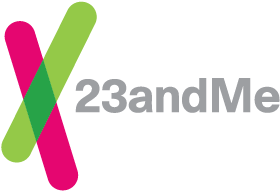 Please note that any improvement, modifications or changes 23andMe makes based on your feedback will be the property of 23andMe. How do I know which features are being tested via the Beta program? Anything marked with a "Beta" tag will be included in the Beta program. We may in certain circumstances include new or updated features without the tag for testing purposes. Any 23andMe customer that is the age of legal majority in the country in which s/he resides can join the 23andMe Beta program. Do I have to pay to join the program? Will I receive compensation for participating? No, the 23andMe Beta program is voluntary. There is no compensation provided to participants. Will participating in the Beta program affect or change my results? Through participation in the Beta program, you may see changes to your Ancestry results if the Beta feature you’re testing affects the way we calculate your Ancestry Composition. Your Health report information will not change or otherwise be affected by your participation in the Beta program. How do I stop participating in the 23andMe Beta program? To leave the program, select “Stop participating in program” via the edit mode of your Preferences in Account Settings. Once you stop participating, it will affect all profiles associated with that account.